Do you want to combine Enterprise data with Big Data? Hierarchies? OLAP models? Currency conversion? Big Data customers have always been struggling with these types of questions. Using Vora 1.3 we can now tackle those questions! In this blog, I have created an OLAP model and hierarchy based on HANA and HDFS data. The modelling was done using VORA 1.3 Modeller. Vora Modeller offers range of new features that we introduced with Vora 1.3. Before starting the modeller, make sure that all the services are working and started. Ambari can be used to check if the services are working. Ambari sits on the master node of Vora cluster. – Data Browser – you can browse through the tables and data which can be either in HANA source or Vora source. – SQL Editor – To write SQL commands. – Modeller – To create OLAP models, hierarchies, currency conversion etc. – User Management – To manage users and roles. Creating tables and loading data in HDFS. The SQL below contains the create table script along with the path where the data sits (in this case in HDFS as a CSV file). It also contains the API (com.sap.spark.vora) which calls the VORA libraries. Creating OLAP model on both data sources.The following model is bringing data from HANA source and HDFS. This shows how enterprise data which sits on SAP system or non-SAP system can be merged/combined with data lake scenarios in Hadoop. VORA offers a lot more functions which spark cannot and VORA is very performant than Spark engine processing. 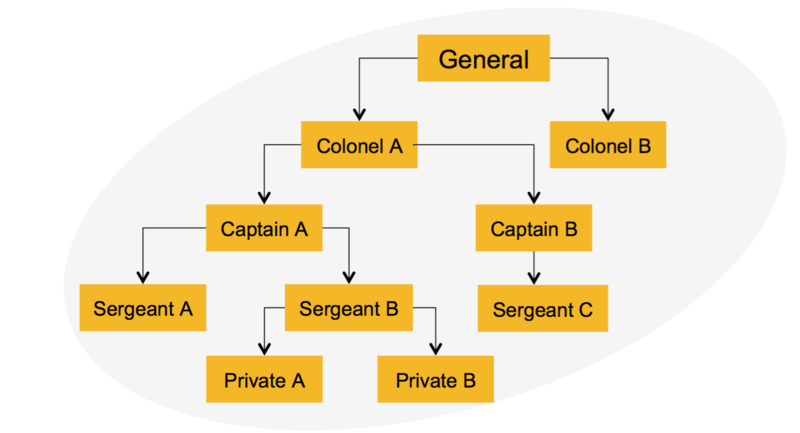 Building Hierarchies: A level based hierarchy or parent-child hierarchy can be created. In this case, we have created parent-child hierarchy which illustrates the org chart below. Creating hierarchies on VORA modeller is very easy and it offers many functions to create and query hierarchy at any level. In this example, we are querying the level at which node 1 exists. With VORA 1.3, there is hierarchy icon in VORA modeller. Simply, add the icon which automatically creates a node. Then add the table and assign the node to the table. Once the parent-child hierarchy has been established, then you can add calculated columns to add or query any level of the hierarchy. Vora offers a range of Hierarchy functions, for e.g. “is_root” function brings the 1st level of hierarchy. Similarly, “is_sibling” will bring the sibling or corresponding levels in the hierarchy. The above model can then be exposed to any of the BI tool. If you have any questions, then please do not hesitate to contact me.